Getting to know Tyler Casey. Tyler Casey has been working in some facet of real estate since 2001. He began origination loans, then recruited loan officers for a nationwide mortgage bank. In 2011 Tyler opened his Real Estate Business and has never looked back. He has spent nearly two decades honing his sales and seevice skills in an effort to create clients for life. A South Orange County native, Tyler has never found a good enough reason to move, and he will most likely enjoy his golden years spending time along the "golden coast." He married the love of his life, Kellie, in 2010 and they have been blessed with a son and two daughters. Tyler is a sports enthusiast with a particular passion for the world's most beautiful sport - soccer. He dreams of one day attending Craven Cottage in London to cheer his favorite English Club - Fulham. 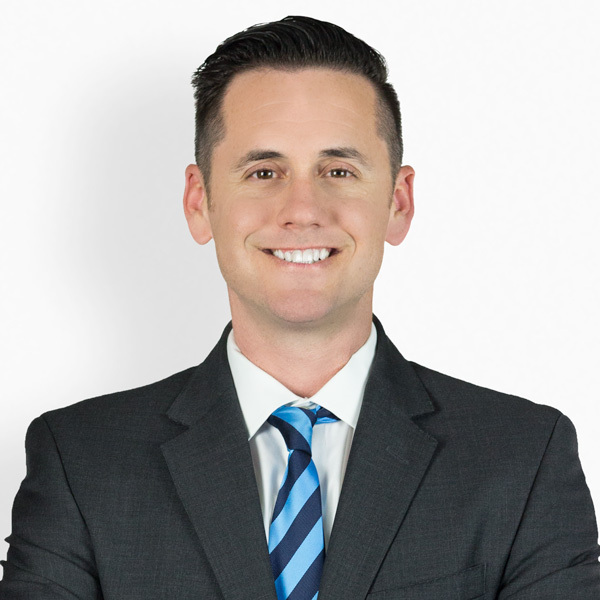 With an ability to focus on the positive, while being realistic in the challenges that face nearly all real estate transactions, Tyler continuously finds new ways to create clients for life! What Tyler's Clients are Saying. Tyler Casey sold a home for us and he was awesome! He was honest and straightforward. He made the process so easy and was very helpful with anything we didn’t understand. He is professional and easy to get along with. An all around great realtor and we will definitely use him again in the future! We totally enjoyed working with Tyler, he guided us through the course of the sale making sure that we were comfortable with the process from the beginning to the close of escrow. We would recommend Tyler to all of our friends and would definitely use him again. Tyler has been an Invaluable resource in all of real estate transactions. Whether it’s been buying, selling, or managing the my rentals, he has been my go to. His devotion and willingness to work under pressure are qualities often missing in my previous experiences. It was a pleasure working with Tyler. He was always willing to accommodate my busy schedule. He returned my phone calls promptly and made sure he was accessible when I was ready to view properties. I would highly recommend working with Tyler. I felt like I was working with a true partner during the negotiation. He kept me informed throughout the transaction and was a constant professional. If you are looking for integrity in an agent Tyler Casey should be your first call. "Great Personality"
It was such a pleasure working with Tyler. We listed our home and sold it within one week. We looked at homes and put an offer in and sold and bought a home within 3 weeks. Everything went smoothly. He was on top of everything. I would definitely work with him again, and recommend him to friends. Tyler's work ethic, professionalism and focus on customer service make him stand apart from his competition. I would highly recommend Tyler for any real estate transaction. A Selection of Tyler's Recent Sales.